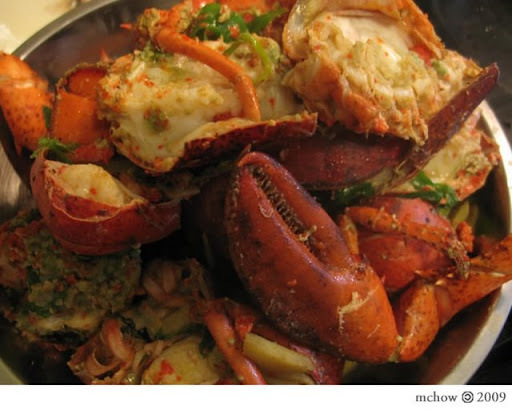 lob-setah (or lobster as it is commonly known outside of fob communities) is commonly misconceived as a hoity-toity food. 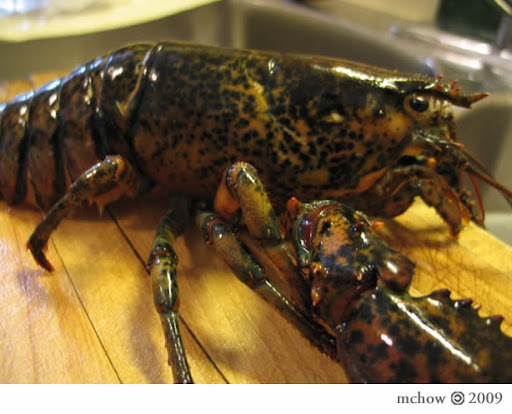 fact is, lobster in north america, was food for the poor (likely because it is a bottom-feeder), and people buried lobster shells to avoid the stigma of being a lobster-eater! shame! the story goes like this (as told by my mom): "lob-setah (lobster) grow up and leave the fish tank. then you take lob-setah and then you chop him up and say you're sorry while you chop him. 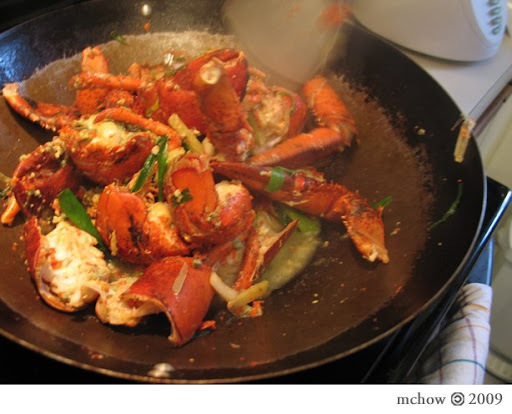 then you put him into hot wok with hot cooking oil, garlic and ginger, salt and white pepper. 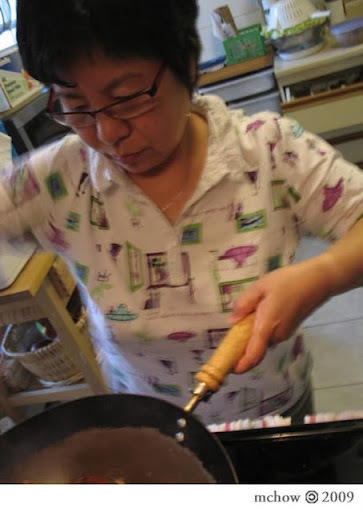 they you fry in wok until it is cook and put green onion on top. you take it, and then you eat it. the green part of lob-setah is the best part."